William C. Rowe Jr. Esq. 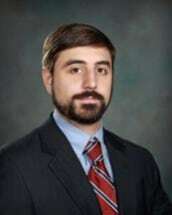 Joseph Stanier Manning is a member of the American Law & Economics Association and the author of "Louisiana Public Records Doctrine after Wede v. Niche Marketing" covering recent changes to the laws of mortgage recordation. Manning graduated from the Paul M. Hebert law center in 2013 where he earned chancellor's list honors. He was an editor on the Journal of Civil Law Studies and top in his class in courses such as Law & Economics and Secured Transactions. He studied Latin and Greek at Tulane University completing his undergraduate degree in 2008 with honors. We will take the time to learn as much as possible about your situation. Based on your goals and circumstances, we will help you determine the best course of action. Contact a Louisiana family law attorney at our law firm today.